A very comfortable traditional community pub in a village not far from Rotherham that I've decided to add to my guide. Both the locals and indeed staff were very friendly and chatty. The bar was crammed full of locals all chatting and relaxing. The pub has a very comfortable, carpeted interior with an open plan area near the bar with plenty of seating. We chose to sit in a smaller room off to the left as you enter through the front door. The pub offers good value lunchtime and evening meals though obviously at the weekends the pub does tend to fill up and it might be difficult to find somewhere to sit. 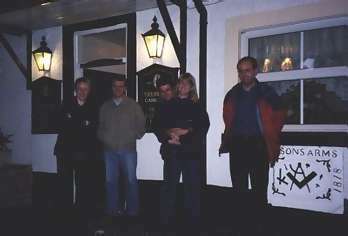 They had 3 real ales on offer when I last visited during 1999 including two from Theakstons.